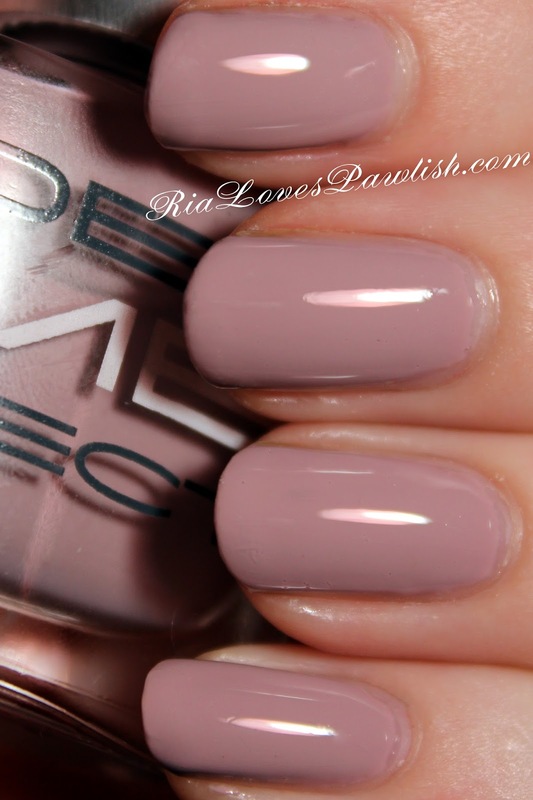 today's Dermelect Cosmeceuticals All Decked Out polish is Dune My Thing! (it's a press sample, kindly provided to me for review). it's a lavender-toned taupe creme... i really like it! the key with this brand's polishes is thin coats... and even with that, it was opaque in two coats. Dermelect recommends using two coats of their topcoat, and i have to say, it makes the polish WAY more shiny! two coats Dune My Thing, two coats Dermelect Memento Manicure Extender Top Coat. (both are press samples).